As I was studying both first and second Corinthians a Paul McCartney song kept coming to mind "Come and Get It". 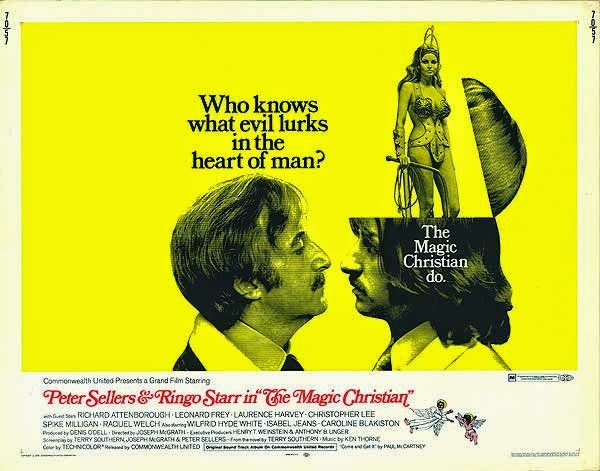 Fun fact the song was written for the British film "The Magic Christian". There are probably many reason's this came to mind, however for time sake, I will stick to our topic. We are taught from a very young age, if you want something go after it. We all have heard positive thinking guru's saying some form of: You Can Have Whatever You Think You Can Have. Parents even dangle tempting treats / toy before their toddlers and woo them to walk over and grab it. While these "motivators" can be a useful tool to test our shaky legs from time to time, there is - or should be a definite STOP IT switch. Even God tells us to plan, count the costs, gather wise counsel and to follow. (search the archives for other past discussions) Think about how the various twists and turns which transpire before we actually reach something. Many times by the time we get to something, we realize it is not even what we thought it would be. Usually when we first glimpse something, we build an idea on a false reality, nothing is what it seems. Many students attending college find this out upon graduation and beginning to work in their profession. All this is leading to what I was reading in the letters Paul wrote. For this is not for the ease of others and for your affliction but by way of equality. God does not want anyone to be able to "have it all" or be a "self made man". He does not want others to be hidden beneath the superior talents of another. God demands that we give high regard to those who support the one who gets to be seen as "the talent". If it were not for the others there would be no one at the top. No one can make it without a team. NO ONE. Fear is a motivator. "I must make it, that will show them", If I can't stop, someone will steal it or get there first". What about these one: " If I had of tried harder, that could be me" A few days ago we discussed Us, We, They and Them. God is an all inclusive God. He does not say only a few get to be used. He also tells us to be one, to break down the dividing walls and work together in all things. Love destroys fears ability to motivate, because it satisfies all needs; ergo you have no desire to move away. Remember our study on 1 John: they go out from us to show they are not of us - but those with an anointing stay because they have something to share. Doesn't this lyric sound rather reminiscent of Satan dangling the motivator out there before Jesus: "All these things I will give you IF you will bow down and worship me." (find in Matthew chapter 4) Christ did not fear that he was not going to get it. And I know he wanted it.....but what HE wanted was his Father be glorified more than the superstar status. So it you want it....and you think it might be going fast. STOP...please just for a second. Take a second glance and peer into what might really be there. Paul warned us to learn from what happened to Moses in 1 Corinthians. We are to express the will of God by doing the will of God. Not by knowing what the will of God is, even telling others what it is. He has all things written down so that we all are warned in advance of temptations used against each of us. We have the historical facts, the feelings, the knowledge of good and evil; but unless we are "willing" to conform (with his strength and our will) our corrupt nature to participate as a Godly influence, encouraging Christ himself to inspect and evaluate our motives / actions, then just like the Israelite's, the ancestors of our faith, we are being destroyed by the angel of death. Abide in the highest calling....Love...because Christ embodies sanctity.